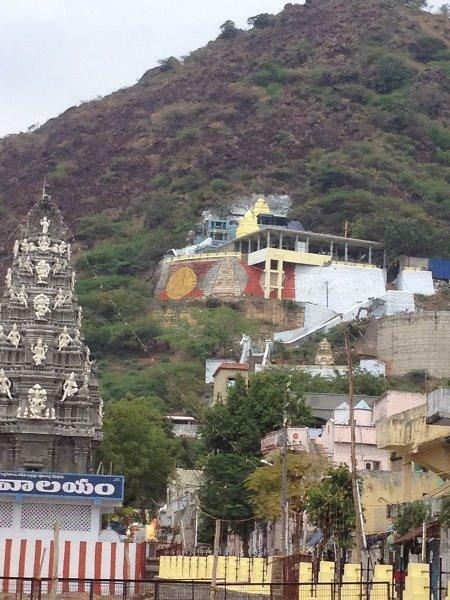 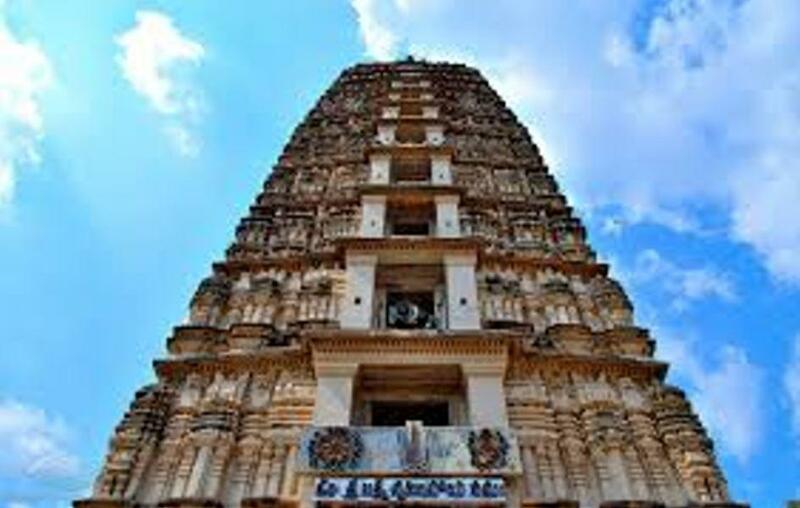 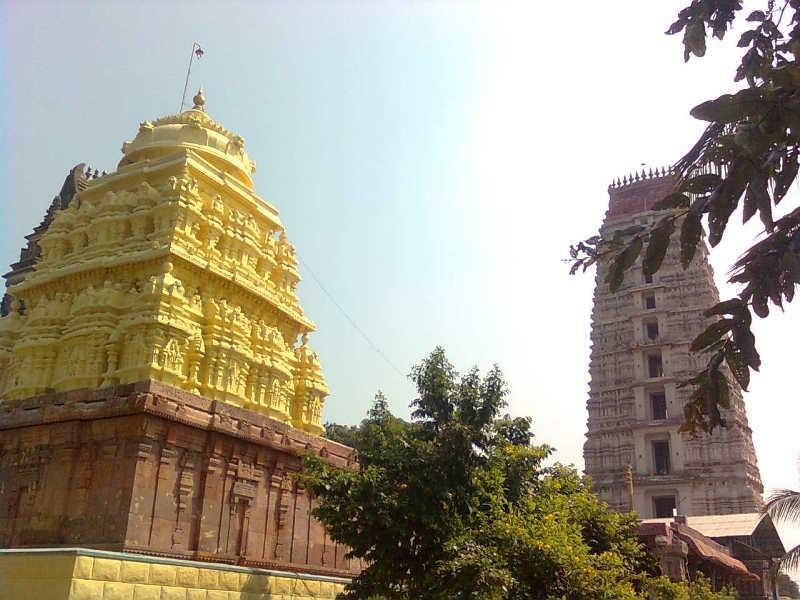 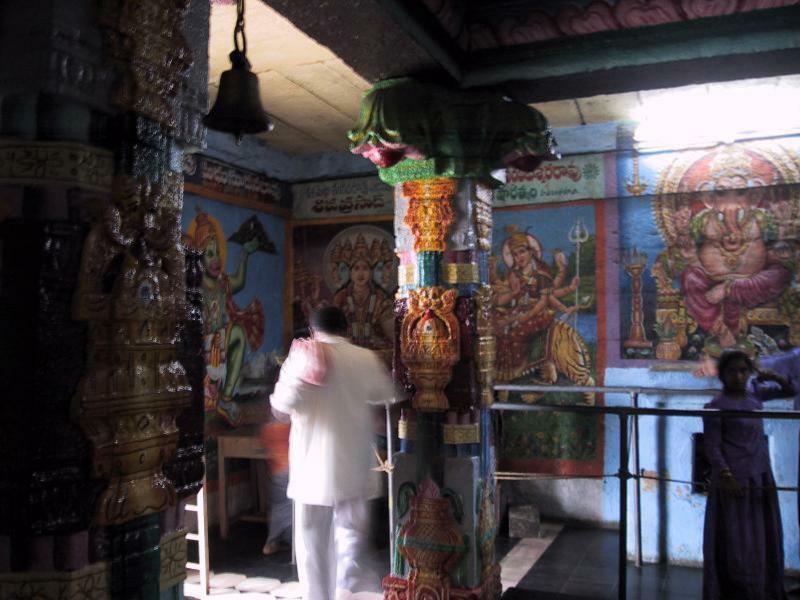 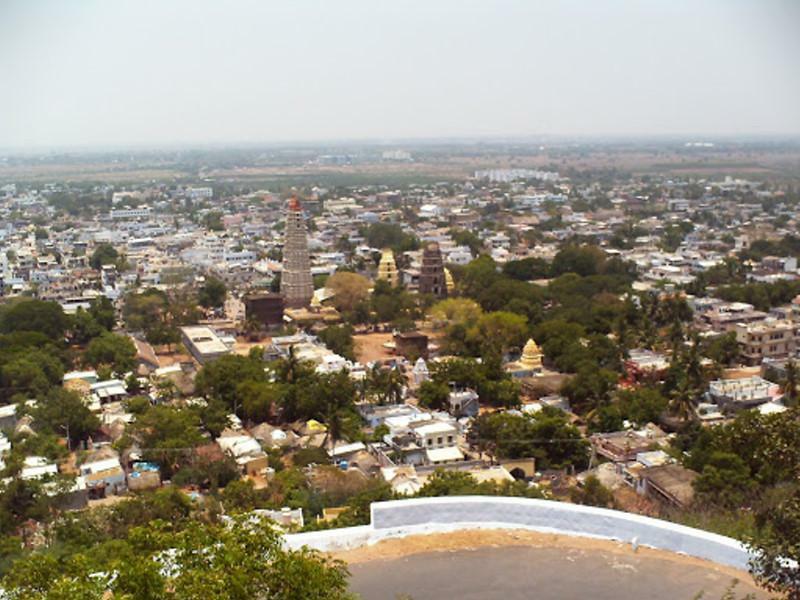 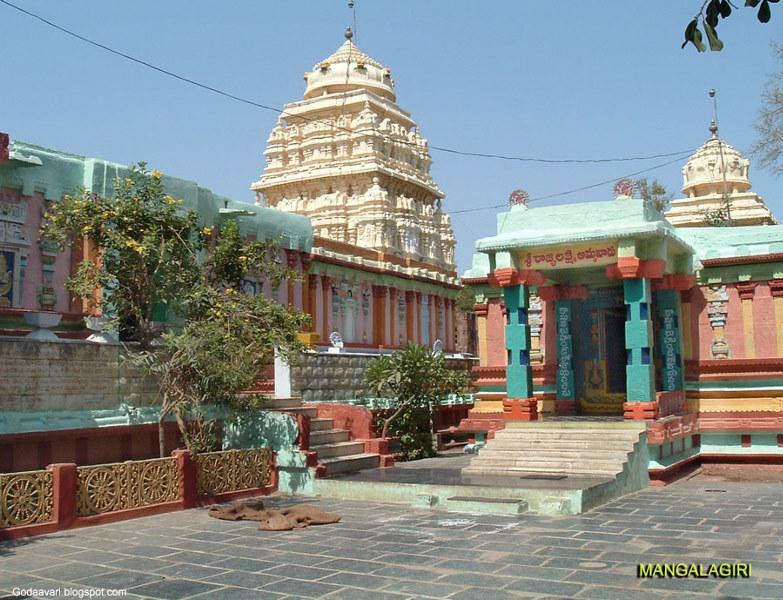 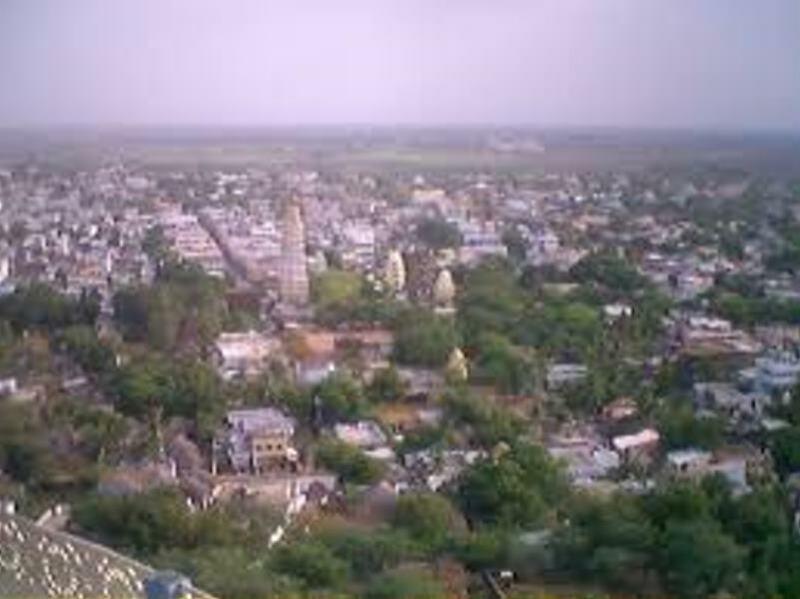 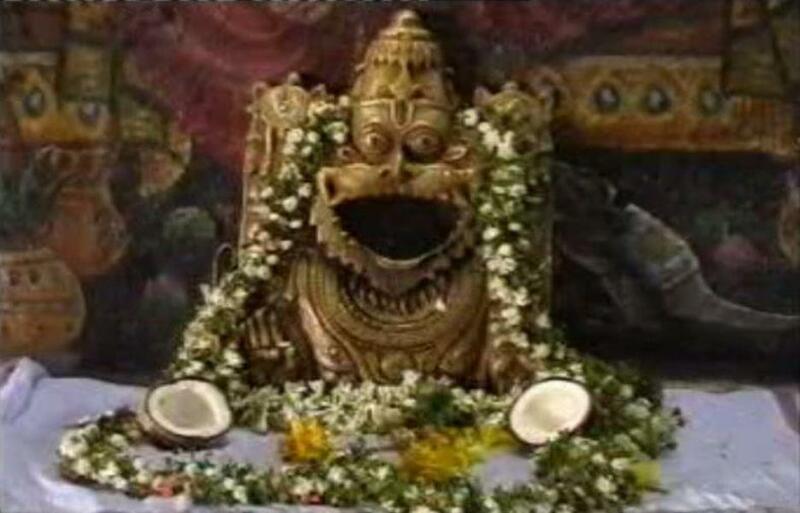 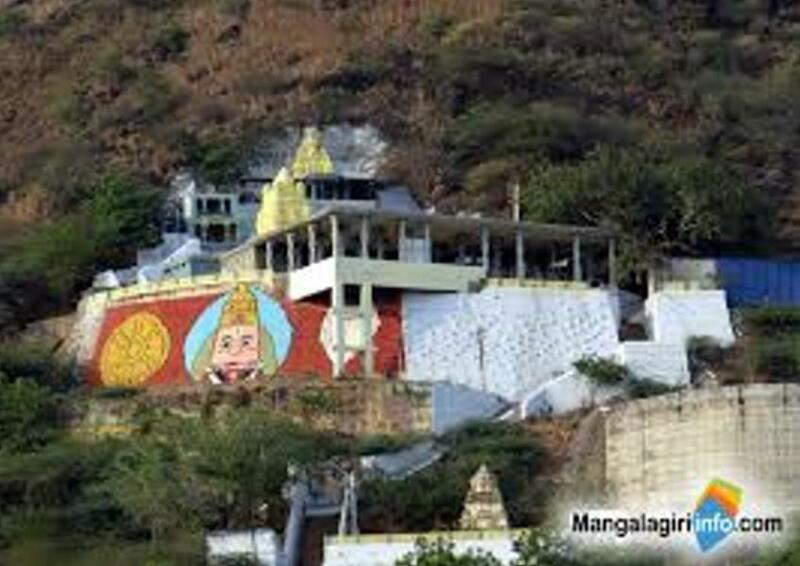 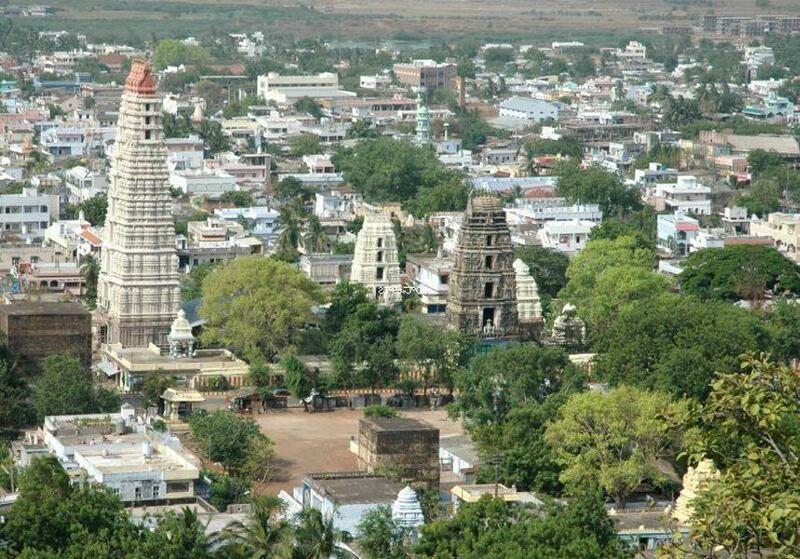 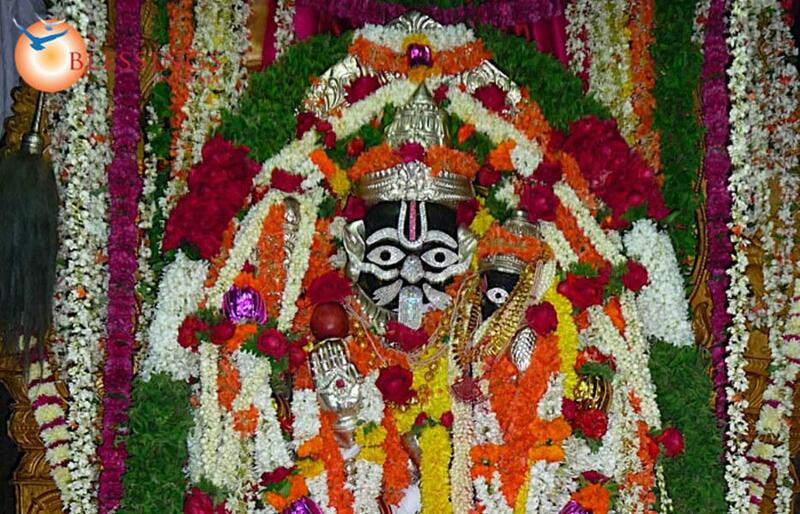 Of the three well known temples of Andhra Pradesh that enshrines Pankala Narasimha, the Mangalgiri Temple is situated at a short distance from the city of Vijayawada. 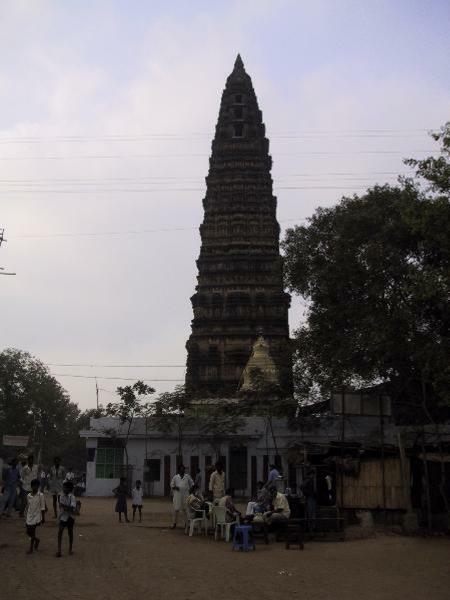 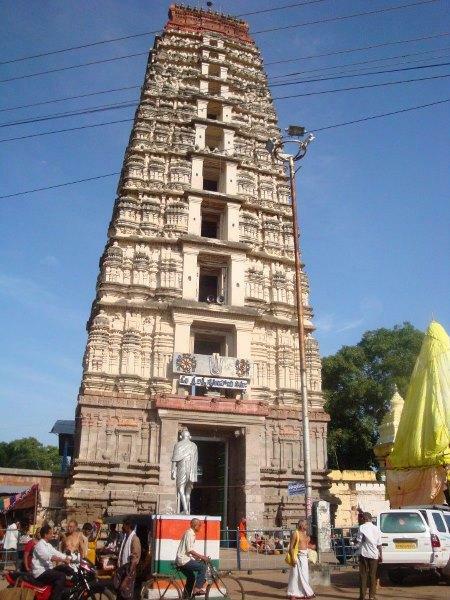 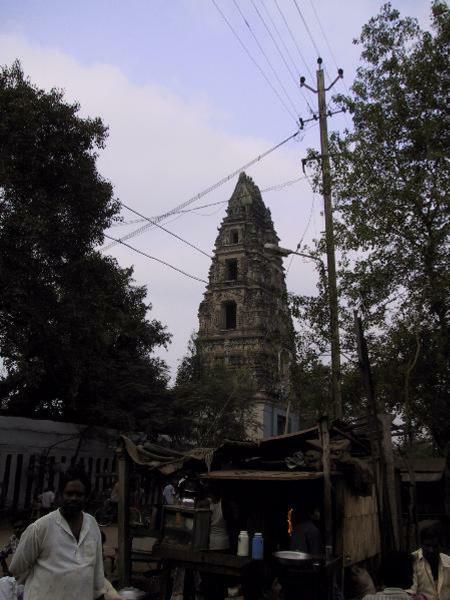 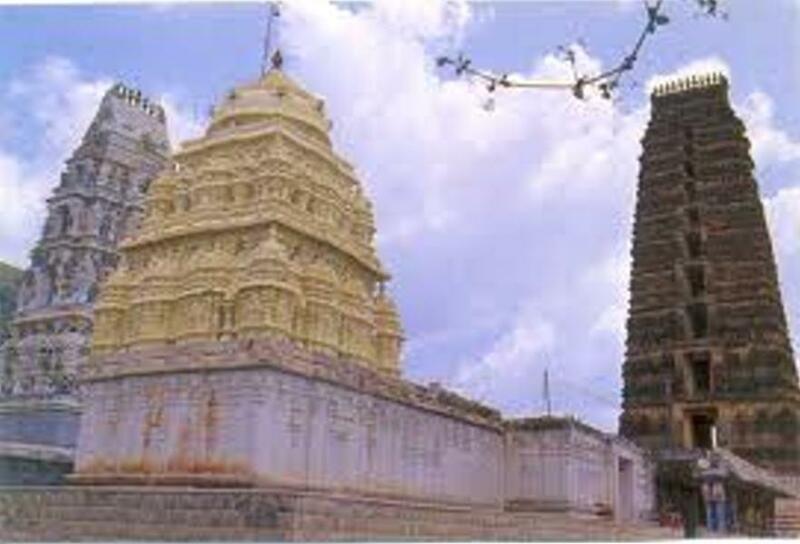 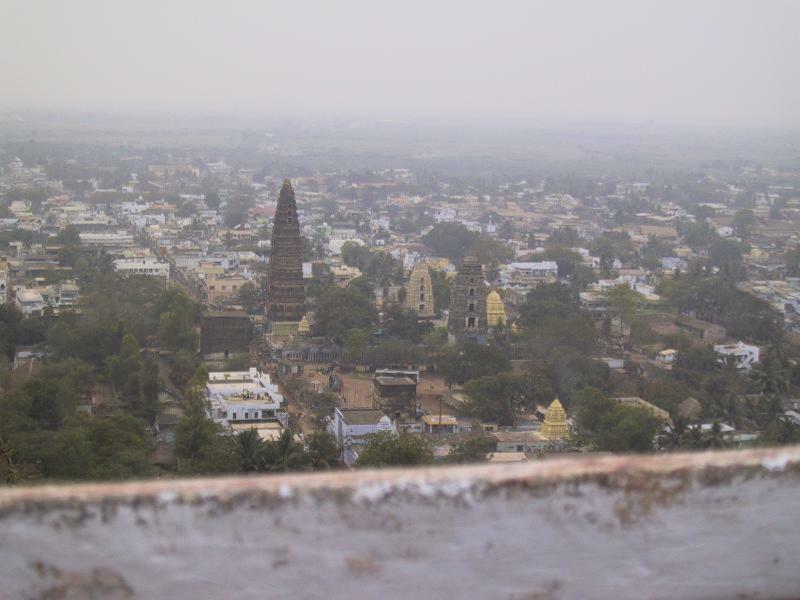 Mangalgiri is divided into two shrines. 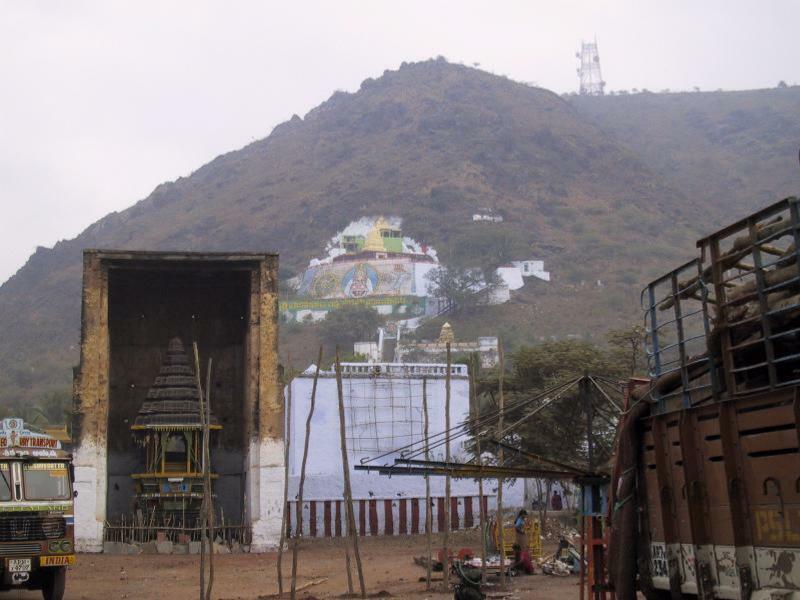 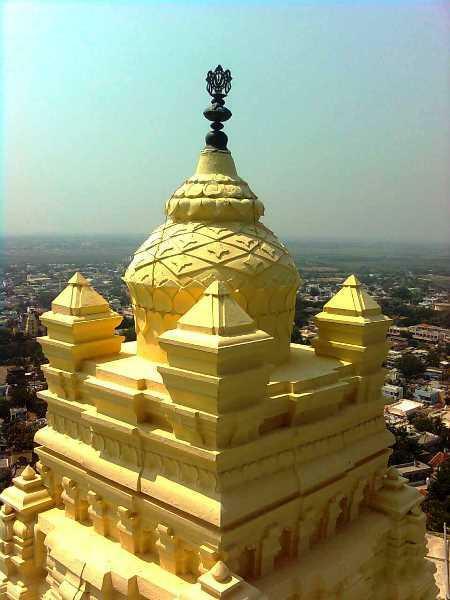 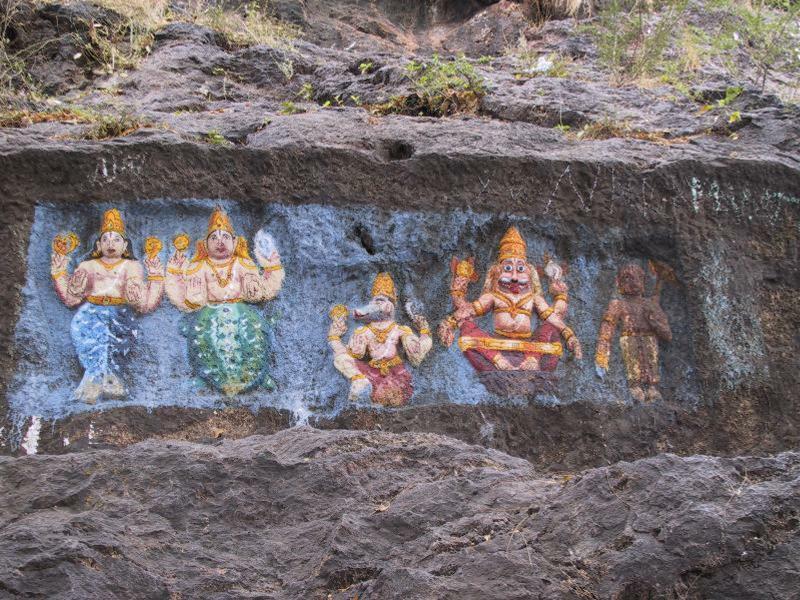 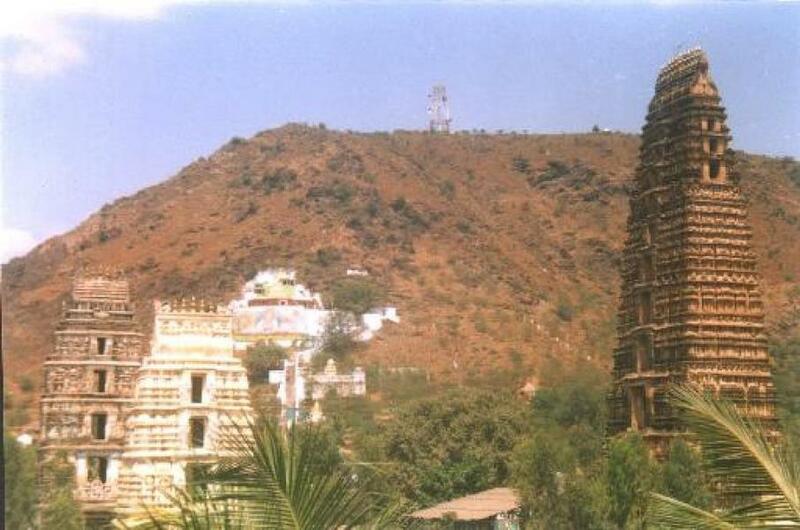 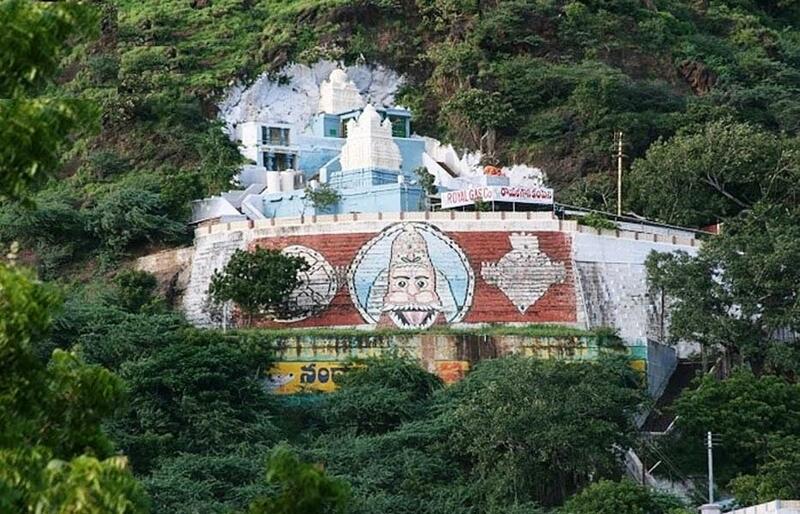 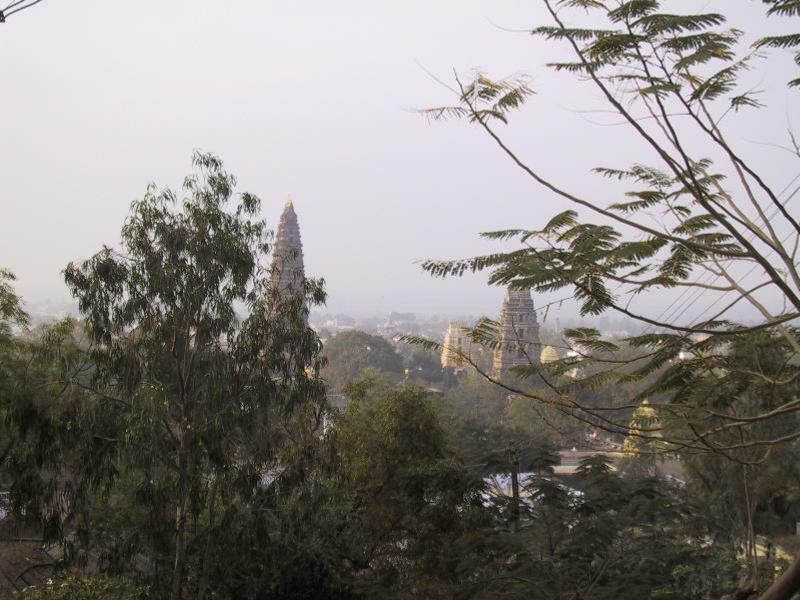 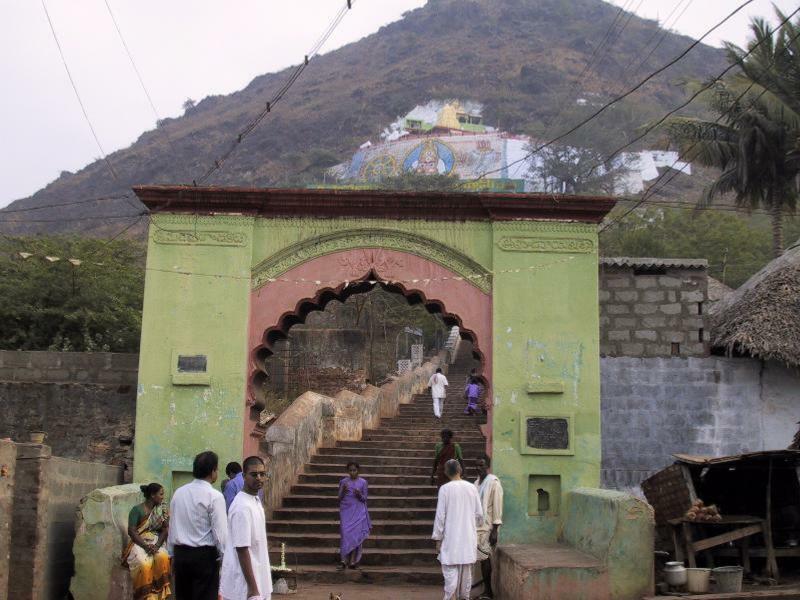 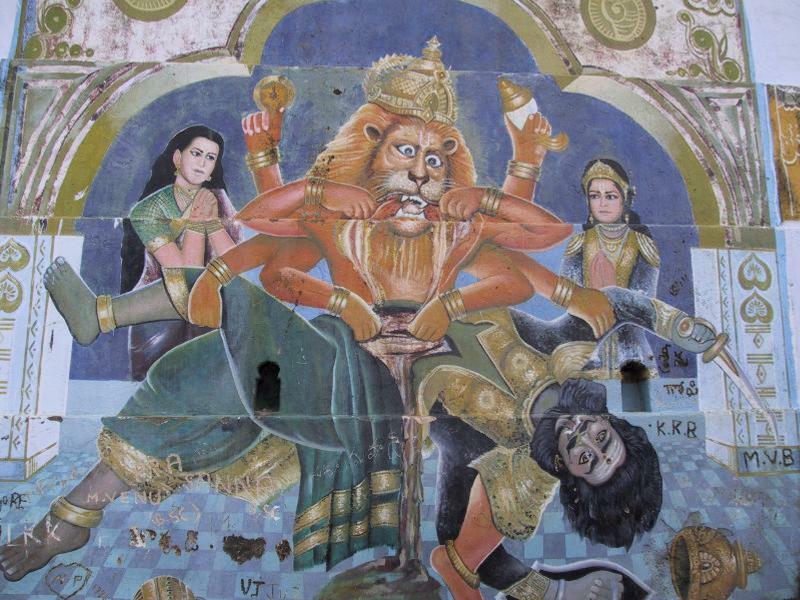 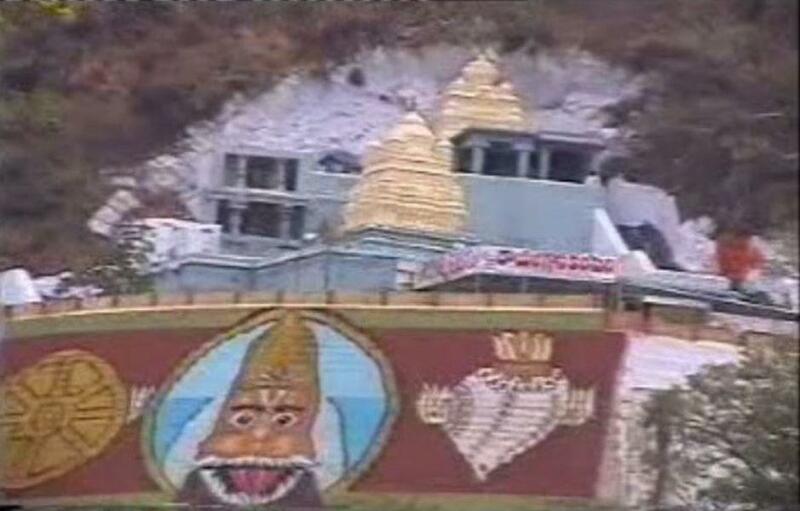 The one located atop the Mangalgiri hill is dedicated to the worship of Pankala Narasimha. 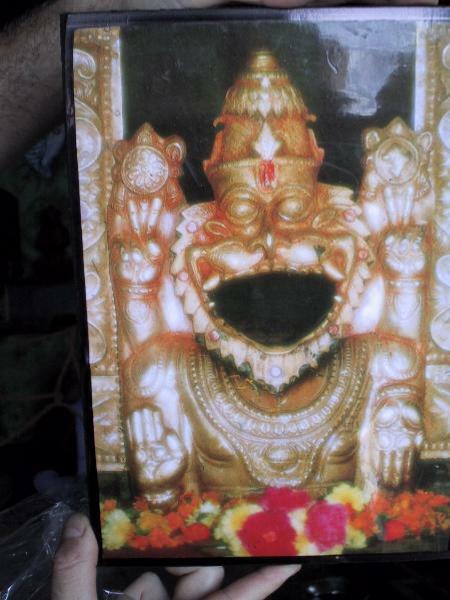 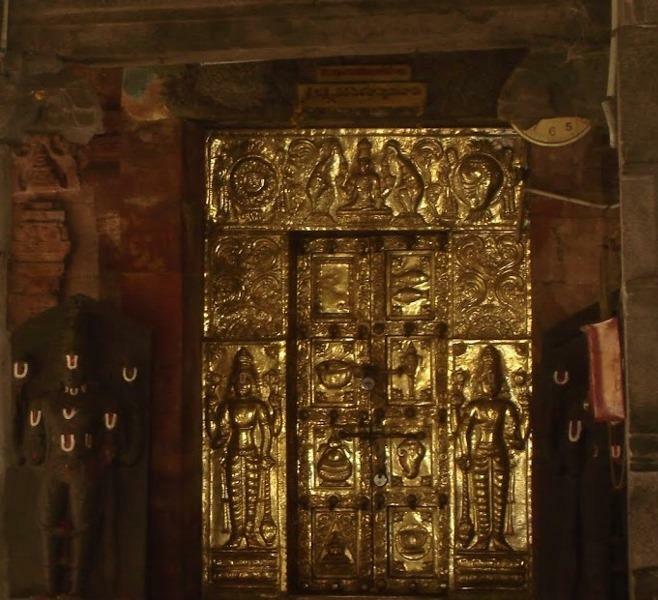 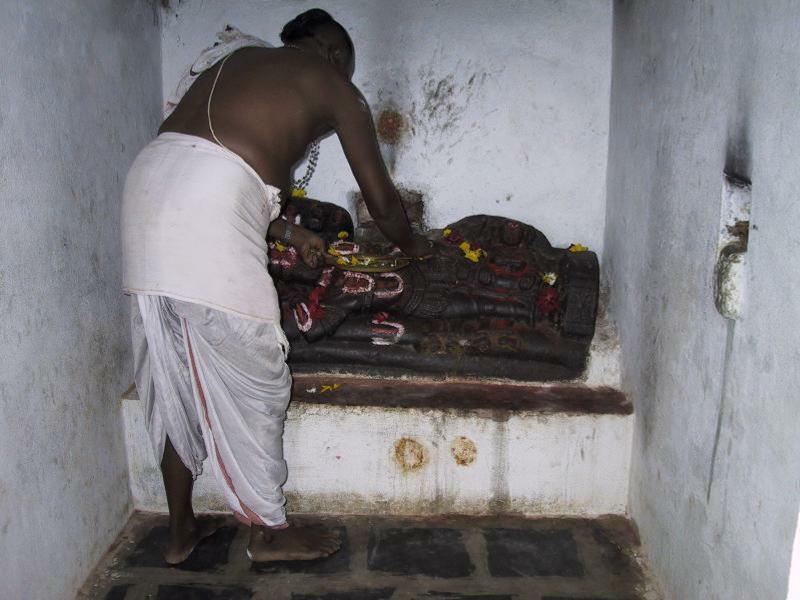 The other shrine is located at the foothills of the Mangalgiri hill and is dedicated to the worship of the consort of Pankala Narasimha, Lakshmi Narasimha. 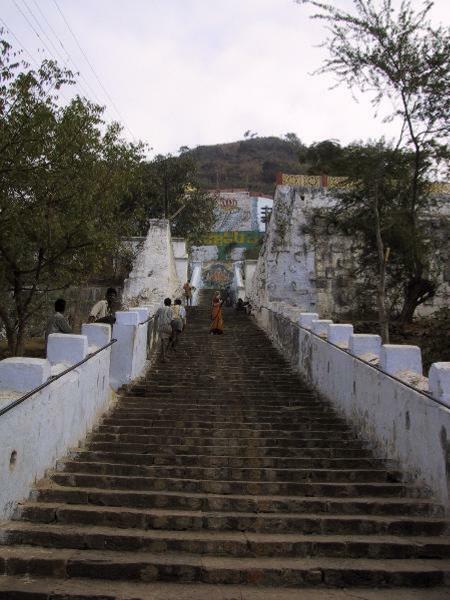 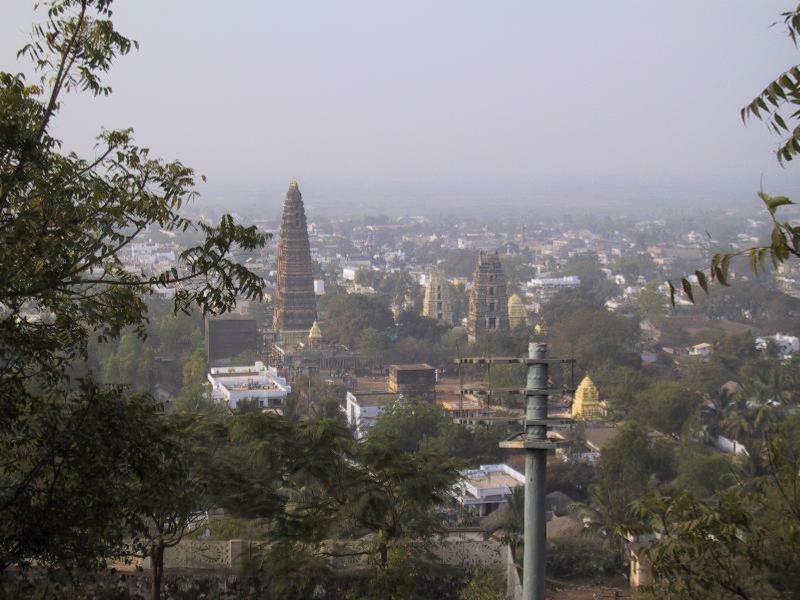 It is believed that the temple was founded by the epic hero Yuddhisthira. 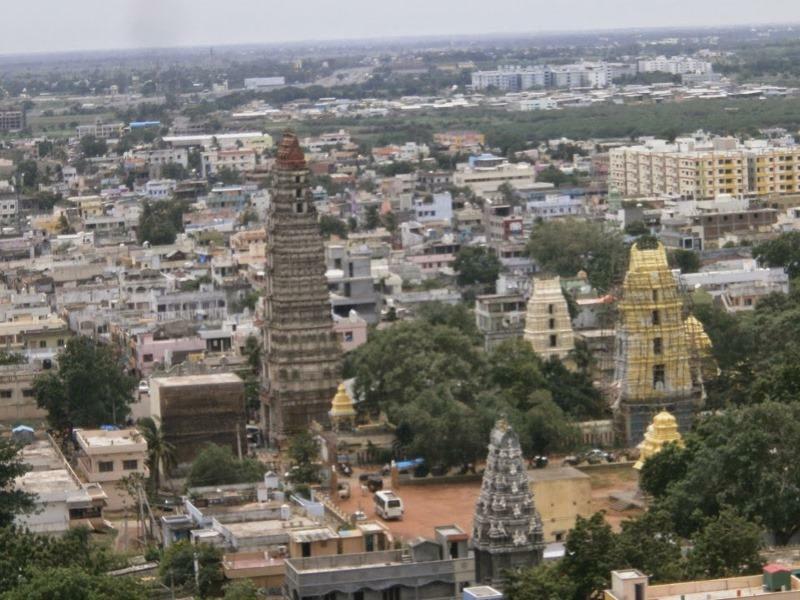 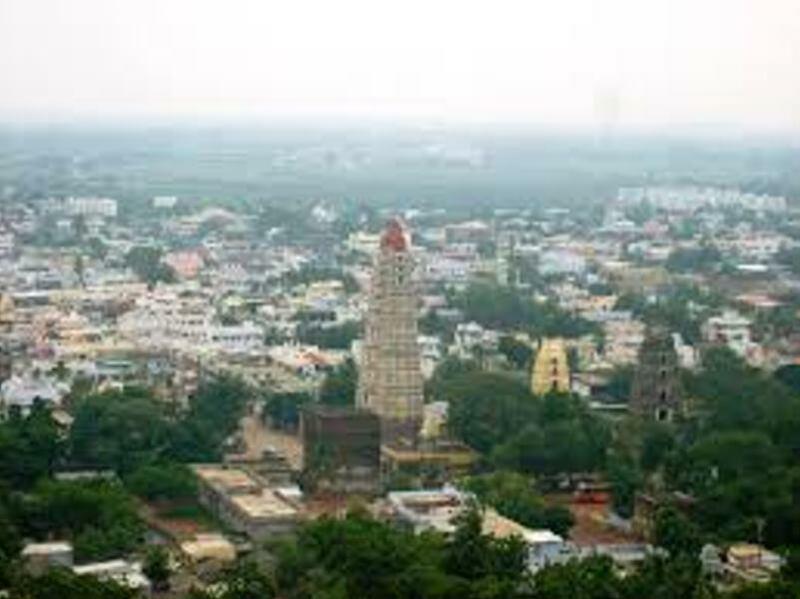 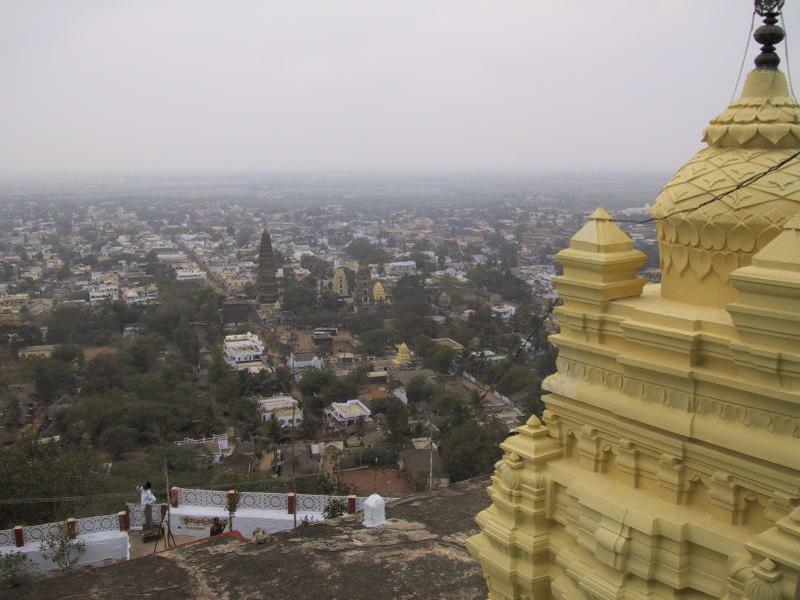 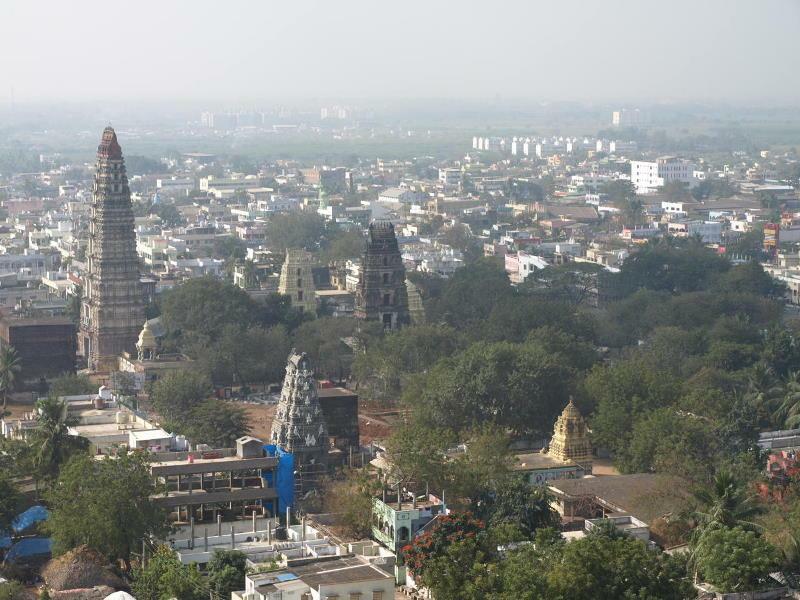 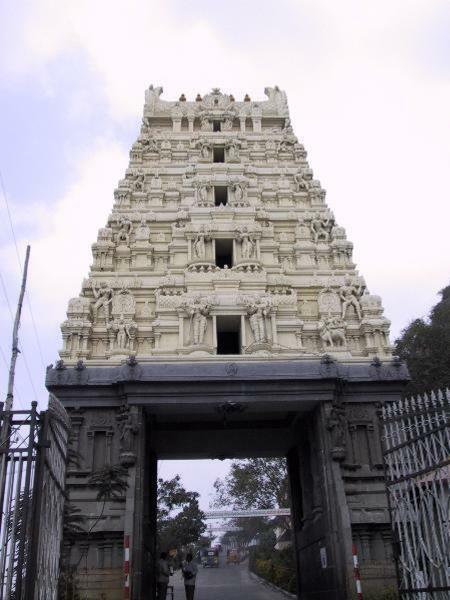 The temple dedicated to the worship of Lakshmi Narasimha has been constructed architecturally to support the 11 storeyed Raja Gopuram that was constructed by the chieftain of the region. 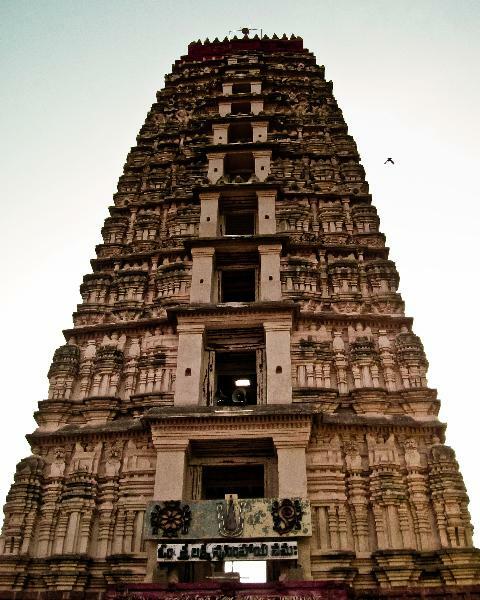 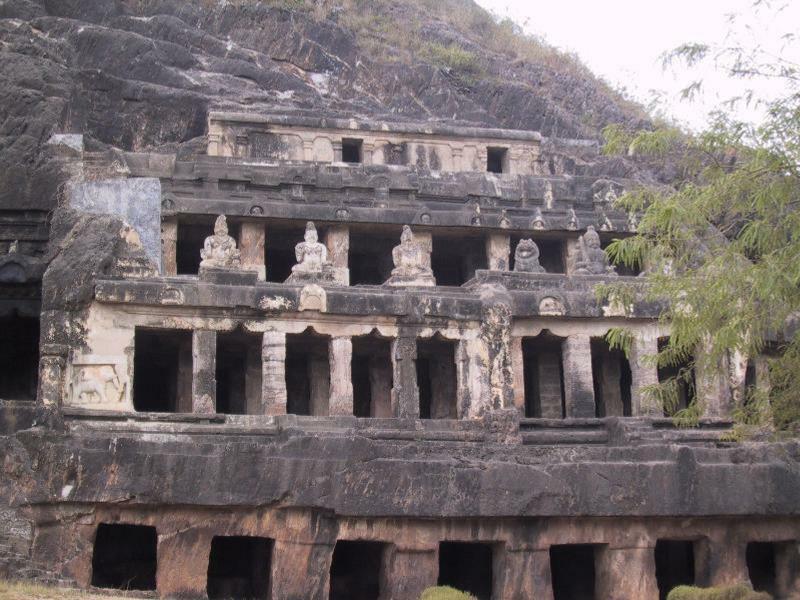 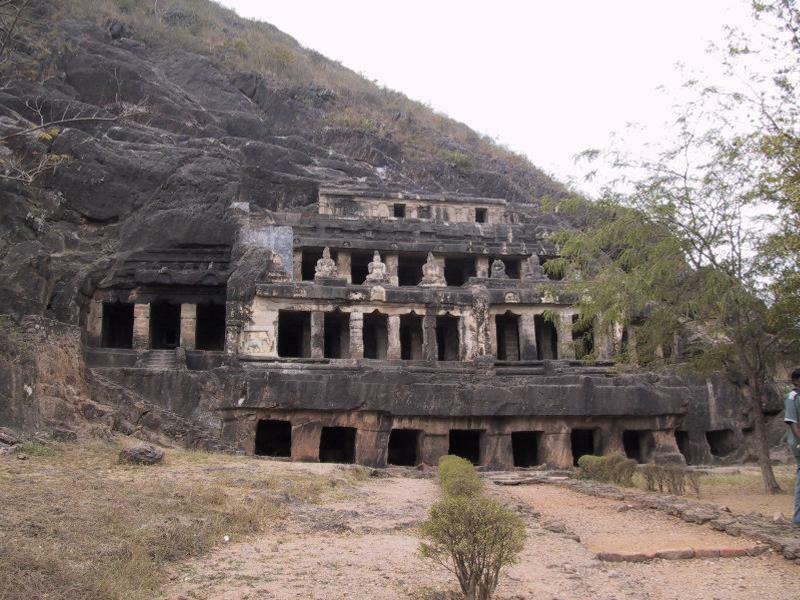 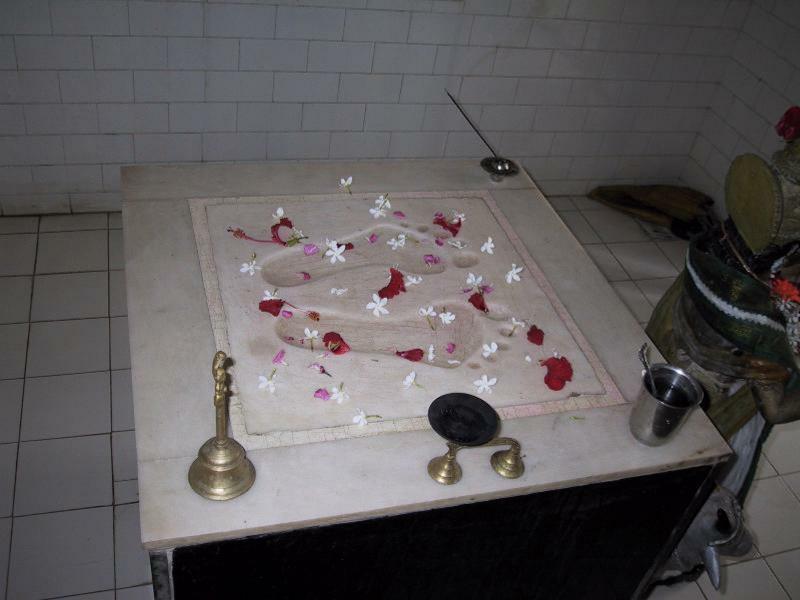 The interiors of the temple have inlaid inscriptions that reveal that the famous King of the Vijaynagar Empire, Krishna Deva Raya had visited this temple. 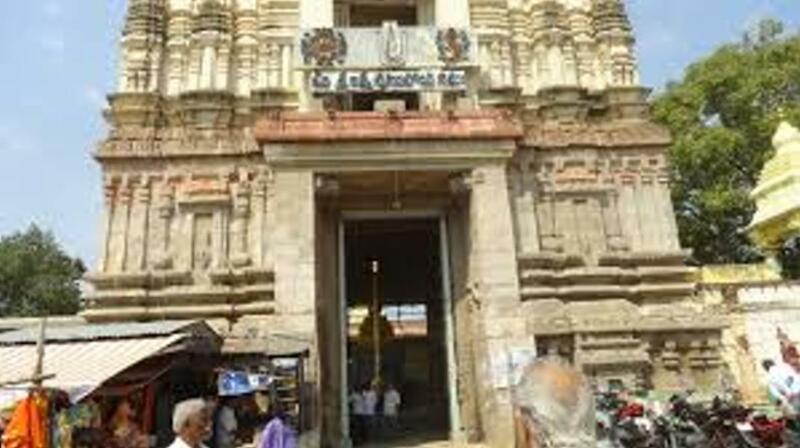 The temple tank placed adjacent to the temple is and is named Lakshmi Pushkarini.